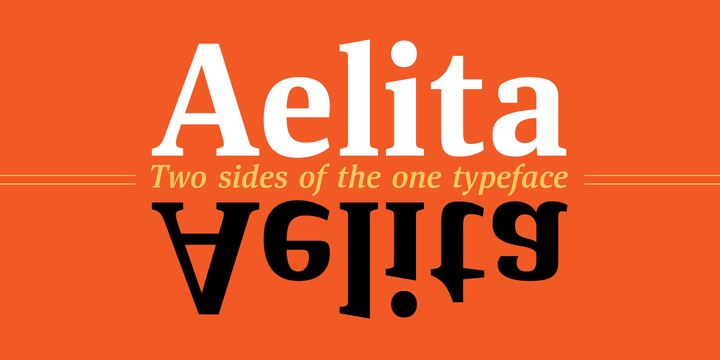 Aelita is an alternate and calligraphic typeface created by Natalia Vasilyeva and published by ParaType that is available in 6 styles, 3 weights and true italics. It is equipped with a character set and the terminals are clear. It can be used for all things such as books, science fictions, headline, literary texts etc. A font description published on Monday, February 23rd, 2015 in Fonts, Natalia Vasilyeva, ParaType by Alexandra that has 3,251 views.